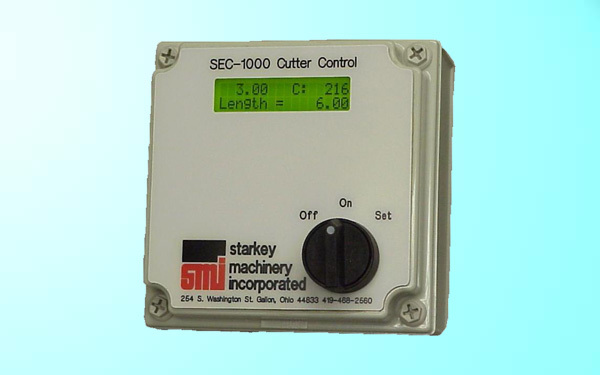 Starkey Machinery Incorporated manufactures a microprocessor based digital cutter control. This control uses a rotary encoder and pneumatic valve to accurately measure and cut a moving column of clay at any user specified length. These controls can range from single channel up to four independant channels. These controls can also be custom programmed to meet customer specified requirements.